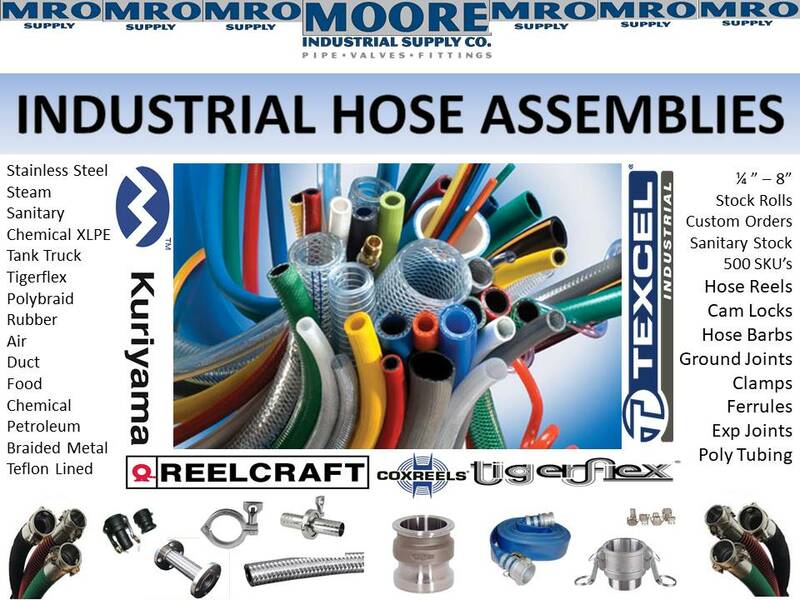 Moore Industrial Supply has expanded our industrial line of hose assemblies and roll stock. Over the last 4 years we have invested in the equipment, staff, education, and stock to add to our multiple line offerings. Did you know that Moore Industrial is the ONLY Locally owned Industrial PVF distributor in the surrounding market? Time to Step it Up !